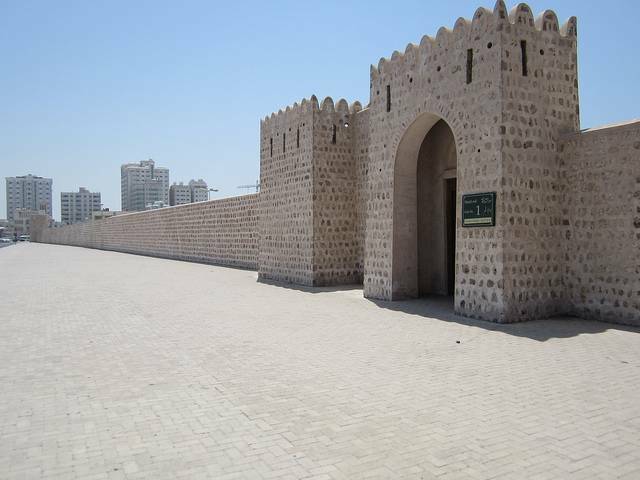 The history of Sharjah, its rulers, its battles and the valuable collection of the 18th-19th centuries are housed in this historically significant Al Hisn Sharjah Fort that stands in the middle of a busy road. Square shaped and two storied, this Fort was built in 1820 to defend the city against the attackers. Later it became the residence of the present ruler of the emirate. The building is made of coral stones, those found in the depths of the Arabian Gulf. The Fort has many galleries where you get to know about the origins of the ruling family. What else to look out for in this Fort is Al Raggas canon which led to victories, Royal bed and the Quran stand. Learn about the defence strategies of the olden times here at this Fort.